Skrill Group announces the appointment of David Clarke as chief financial officer (CFO). Based at the company’s global headquarters in London, he will oversee the financial management of Skrill Group’s global operations, comprising Skrill, paysafecard and payolution. 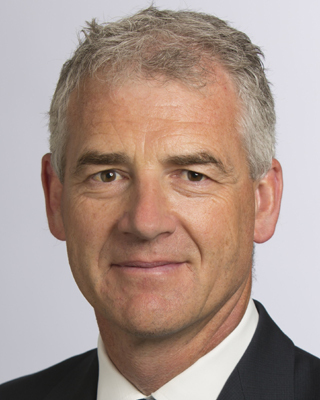 Clarke joins Skrill Group from Lebara Mobile, where he held the position of Group CFO since April 2013. Prior to this he spent almost a decade working as VP and CFO EMEA for PayPal and also has held a number of senior finance roles with organisations including Logical, BroadVision, New Era of Networks Limited and Cantor Fitzgerald. Clarke brings to Skrill Group considerable expertise in managing international finance operations in high growth, online and regulated environments. In overseeing Skrill Group’s financial activities he will play a pivotal role in ensuring that Skrill Group companies continue to invest and innovate in order to meet evolving customer needs and support ongoing growth. Commenting on the appointment, Skrill Group chief executive officer, Siegfried Heimgaertner, says, “The appointment of David Clarke as Skrill Group CFO demonstrates our commitment to delivering best in class online payment solutions to our customers worldwide. I have no doubt that David’s wealth of experience will enable us to reinforce and extend our current position at the heart of the online payments industry.